Richard Ashcroft has mutated into his third musical incarnation by moving to the American land of far, far away, and assembling a complete new band. 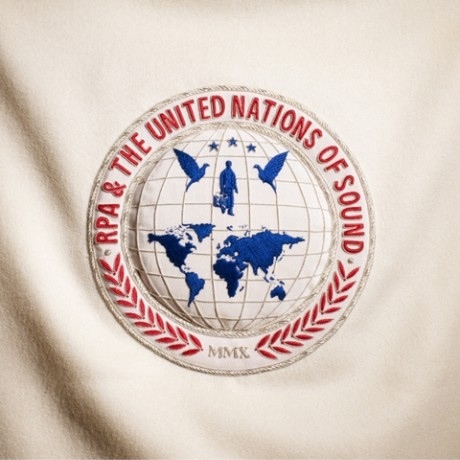 All together the party shall be known as RPA & The United Nations Of Sound. Great embroidery to show their vision too. And the band lives up to the promise of its name in creating a sound that UNites the best of Richard’s musical inheritance in a UNified sound that is distinctly recognizable as well as new and UNique. Richard added a magnificent portion of Soul to his familiar, natural flow of sounds. A bit of funk too. The lyrics are in sync with his aim to UNite the UNiverse, and prove the equality of men and sounds. It’s the central theme beyond the personal.